Would You Like to Earn 6-Figures Simply By Speaking About Your Passion, Story, or Message? Listen to Own the Stage Video #4 to Learn More About Speak the Incredible! That’s right! You never have to worry about getting booked (and highly compen$ated!) to speak again. Discover my simple-to-implement secrets in the “Speak the Incredible Coaching Program”, where I reveal the same powerful tips, tools, and resources that I used to build a 6-figure speaking business in record time! I'm ready to get powerful tips, tools and resources to keep my calendar booked with speaking engagements and build a 6 to 7-figure business by investing in Darnyelle's proven Speak the Incredible Blueprint -- including business-growing bonuses designed to help move the needle in your business using speaking! 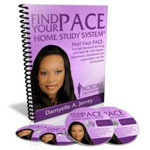 I want everything in the physical Speak the Incredible Home Study Course in an easy-to-navigate online course. Nothing will be mailed to me, but I will have instant access to all the same tools to become a world class speaker and to grow my speaking business available in my digital library. Big dreams and big things ARE possible! I went from not speaking at all to earning a minimum of $10,000 – $20,000 a month in my speaking business. Feel discouraged because you’re a “speaker” but no one is inviting you to speak? Know deep-down that your story could change lives, but feel frustrated and stifled that your story isn’t being told? 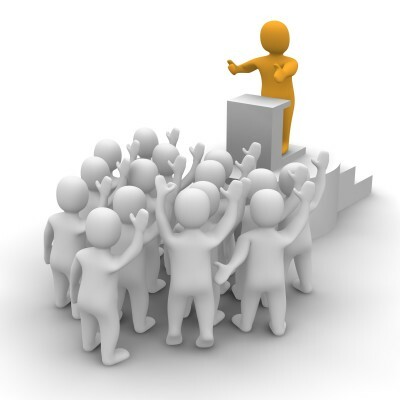 Envy keynote speakers at live events, and wonder how YOU could become a keynote speaker? Dream of sharing your passion and message with national and international audiences, but can’t seem to get your “foot in the door”? Currently live the life of an amateur speaker, desperately trying to figure out how to break into professional speaking? Feel tired of speaking for free or for a penance, and want to understand how to smartly and confidently ask for a higher fee? ...then I'm really glad you found this page. I’m a firm believer that everything happens for a reason, and so you happened upon this page because you desire to learn how to get booked to speak – with pay – and get booked often. You’ve asked for a way to share your story with the masses, and you desire to make more money as you serve others with your skills, strategies and solutions. And I’m happy to say to you that, at this moment, you are receiving an answer to what you’ve asked for.Will you do me a favor? Find a comfortable place to sit and take a few deep breaths. Now that you’re relaxed, would you mind if I painted you a picture of what your speaking business COULD look like? Each week, like clockwork, you receive five new speaking requests from companies and organizations, ones that you don’t know and that are ready, right now, to hire you to speak to their audiences. They’ve got the check almost filled out, all they need is your speaker fee. You’ve got more offers that you know how to handle, and your assistant just told you that there’s been a website order for 1,500 copies of your book. You’re booked solid for the next three years and have to start a waiting list. You’re earning so much more than you’ve ever earned, and you’re having tons of fun sharing your story and empowering others. You’re changing lives, one at a time, at every talk, and what’s more? They all want you to come back again next year. How would achieving all of this make a difference in your life? In the lives of your loved ones? Wait a minute! That was just your imagination, running away from you…WHY IS THIS NOT YOUR REALITY? 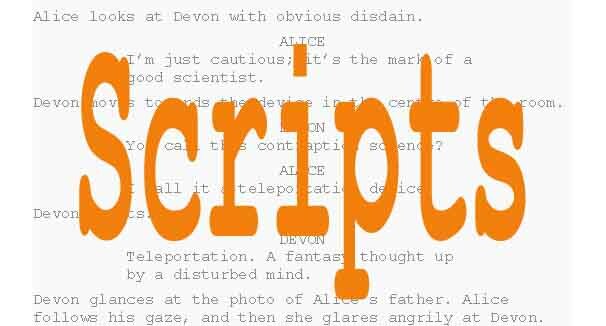 Why are you not booked to speak to audiences in the places you’ve been dreaming of and earning a fee you’ve always dreamed of? Aren't exactly sure who you should be targeting to get booked early and often. Have a marketing message that is convoluted and unclear to your desired audience. Are viewed as if you’re just like every other motivational speaker out there. Are not charging enough, so the meeting planners think you’re an amateur. Are not leaving a speaking engagement with another one lined up or a strong referral. Don’t have a system to follow up with prospective speaking engagements. Don’t really have a plan. Don’t have products and services to offer outside of your talk. Don’t get testimonials so that others will want to book you. Are inconsistent with your marketing efforts so you drop the ball a lot. Were never taught the business side of being a speaker, or exactly what you need to know to keep a consistent flow of speaking engagements on your date book. Look at being a speaker as something you do, not a business, so you treat it like it doesn’t count. Believe you shouldn’t charge to share your story and motivate others. If any of the above sounds familiar, not to worry because it’s not your fault! Ultimately, you don’t know what you don’t know. Trust me, I understand what you’re going through – I have been there myself. When I started my company four years ago, I didn’t think to find someone to mentor or support me as I endeavored to become known as a professional speaker. Although I had been speaking in front of audiences since 1999, I had never been responsible for booking myself because I was a corporate trainer and speaker. But I knew that my natural talent was enough to go after my dream, a dream to share my story to empower others around the country. Can you relate? With that dream in tow, I began to research how to create a thriving speaking business. Through the steps I took,I secured membership in the National Speakers Association within 4 months of starting my speaking business (you can only qualify after 20 PAID speaking engagements). I motivated crowds from 250 people to 12,000 people. I booked 40 speaking engagements my first year in business – 35 of which were paid engagements at my full speaking fee at the time of $2,500…and that was before I sold any additional product like my books, CDs, etc. (1) All of this I did BEFORE I learned what I am going to teach you in my Speak the Incredible Coaching Program. I learned how to put together a press kit, make a speaking demo and use it to send to meeting planners around the world, etc. (2) And all of this I learned to do by myself! A huge learning curve, wouldn’t you agree? That’s why I created the Speak the Incredible Coaching Program – to save you from the mistakes I made and to save you tons of time, energy, and money by quickly and easily achieving your goal of being a highly sought-after, highly-paid speaker. Now, fours years into the process, I earn $10,000 to $20,000 a month speaking about my passion, my message, and my story. I don’t say this to brag, but to demonstrate the possibility! Isn’t it time for you to experience similar results? Get excited, because Speak the Incredible Coaching Program is about to change all that! When you know EXACTLY how to build a speaking business step-by-step, you have the tools to build wealth for life.The truth is you’ve been speaking since you were two, BUT now, you’re going to get paid doing it! 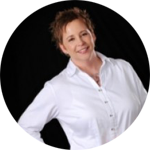 No matter whether you are a speaker or desire to add speaking to your service offerings or want to use speaking to attract more clients, the Speak the Incredible Coaching Program is EXACTLY what you need. Today, I’ve spoken to over 1,000 audiences and over 100,000 people. I’ve been a member of the NSA for FOUR years and I’m getting certified as a CSP. I’ve sold countless books and products to audience members around the world. I make a great living as a speaker and now I desire to show you how to do the same. "My income has doubled, and I am inspiring countless other business owners..."
Before Darnyelle's Speak the Incredible program, I had a vague idea of the power of speaking in my overall business plan. After 2 days of being totally inspired and educated on every aspect of public speaking I could possibly need, I was on fire with the passion that Darnyelle imparts through her own transformational speaking. I crafted my signature speech, and within weeks, I had a speaking gig in front of my ideal clients. 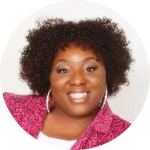 As Darnyelle had taught me, I had designed a teleclass to offer at the end of the speaking, and 5 of the 11 women signed up, and two others became clients, creating an additional $12,000 in income. Basically, I jump started my new business and it has not stopped since. Through the speaking I am doing, my income has doubled, and I am inspiring countless other business owners to bring their gifts to the world and make a great living doing it. If you want to get the inside scoop on the power and know-how about public speaking, give yourself the gift of Darnyelle's Speak the Incredible program. You will get the return on your investment in record time. "I am looking at my 3rd hosted event, and the revenue it will generate... will more than double what I invested in Darnyelle's Speak the Incredible Program"
I signed up for Darnyelle's Speak the Incredible program because I simply try to absorb everything she has to offer. Speak the Incredible laid it all out for me - from the logistics of crafting a talk to finding the confidence to actually do it, and finally to illustrating how I can actually get paid for speaking! Not only how you can get paid, but WHEN you should be paid for speaking. Here's what has happened since immersing myself in this program. Suddenly, I'm holding my own events here in town, giving presentations on things that I get totally jazzed about AND finding ways to get paid for it! I am looking at my 3rd hosted event and the revenue it will generate will more than double what I invested in Darnyelle's Speak the Incredible program. Some other benefits are harder to put numbers on. Holding events and speaking at them is contributing significantly to my expert status in the community and generating high-quality inquiries and referrals for my done-for-you online marketing services. Here's the thing; if you are considering getting into this program, it can do nothing but good things. It doesn't matter what kind of speaking you wish to do. If you want to be a sensational travelling speaker or a more matter-of-fact workshop presentation speaker like me, you can use this program and get some really valuable and practical systems to follow so that you actually make money from what you are doing. "Because of Darnyelle, I just earned my highest speaker fees ever!" One of the benefits of being a Platinum client of Darnyelle's is that she is able to provide you with just what you need, when you need it, so that you can make more money in your business. 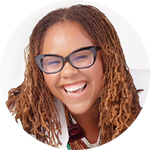 Recently, I was booked for a paid speaking engagement, but realized that I hadn't prepared anything to allow the audience to deepen their experience with me and I immediately heard Darnyelle's voice saying "You're leaving money on the table." So, I set up a session with her during which she helped me to create an offer out of products and services I already had available that were collecting dust in my business. From my well-crafted offer, I was able to position my solution to the audience's problem and as a result I sold over $2,000 during my 60-minute talk. Since then, I have been booked for two additional PAID speaking engagements at the highest speaker fees I have ever received. I did this using Darnyelle's strategies. 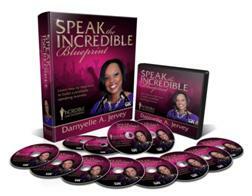 If you are finally ready to share your story and earn some real money, you need to get your hands on Darnyelle's Speak the Incredible Blueprint. "Just two days following Speak the Incredible with Darnyelle, I made my first sale!" The Speak the Incredible Training was masterful! I've attended speaker training engagements in the past that focused solely on how to outline the talk, but Darnyelle exceeded the status quo by illustrating how to create a profitable and systematic speaking business. She provided business strategies, formulas, templates, resource guide and explained the importance of creating back-end products that support speaking. For example, I help women who are struggling with healthy weight loss and Darnyelle assisted me in outlining a signature step by step system for clients, as well as products to further support them... that alone was worth the financial investment for Speak the Incredible. And, if that wasn't enough, Darnyelle also shared the HOW-TO, which is often missing from other events. In fact, two days following Speak the Incredible, I implemented Darnyelle's teaching and sold my first product! Lastly, Darnyelle helped tease apart how to share my heavy, yet inspirational, life story in a way that will inspire and motivate others. I finally stepped out of shame and into ownership. I now believe that sharing my truth from the stage allows me to live out loud and touch hearts with a microphone. 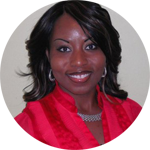 By learning directly from Darnyelle, I know I will expedite growing my speaking and coaching business. As a result of the event, I have more clarity and vision about not only what my speaking business can become, but who I can serve and support along the way. It's time for me to unleash and SPEAK the Incredible lessons from my life. "I have had friends who went to learn from 'BIG NAME' speakers and they didn't even get 10% of what Darnyelle teaches..."
Before Speak the Incredible I was not clear how to charge, how to develop a program or service(s) or how to identify the pain of my preferred clients. This resulted in walking away with NO leads or income. I was spending time traveling, preparing and losing lots of money. Since Speak the Incredible, I have been able to get clear how to craft my signature talk. I have developed two new products to offer my clients. I have increased my prices and I have gotten four new speaking engagements and three new clients. My advice - don't hesitate to add or purchase this product and here is why: Darnyelle didn't leave out anything, she gave us EVERYTHING we need to be successful. She left no stone unturned. She didn't give us theory, but real-life experience and proof of what she teaches works. I have had friends who have went to 'BIG NAME' speakers and they didn't even get 10% of what Darnyelle teaches... I saw the proof! So I am telling you no to hesitate - I guarantee you will get what you need to move your business and speaking career to a whole new level! The Bottom Line: You CAN’T afford NOT to invest in the income-boosting Speak the Incredible Coaching Program! I have been listening to Speak the Incredible in my car and on my computer at work (with headphones of course), and I'm so excited about the learning process I'm experiencing. This program is really thorough and I'm learning so much by your delivery of giving examples. You are amazing with what you have done by producing this and I'm soooooo looking forward to seeing you in person. 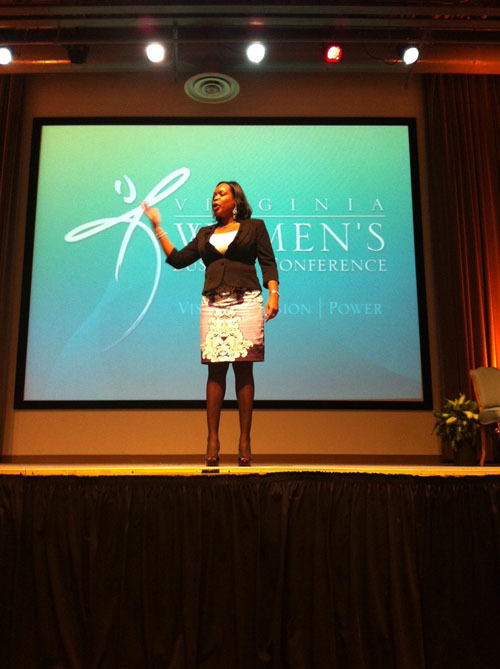 I feel so energize, I'm ready to quit my job and start booking speaking engagements yesterday! If you have been wondering if you should get access to this information, you should. This program is top-notched and the way Darnyelle teaches the content is Incredible. Before you start thinking this is like every other program you’ve seen, think again. This will NOT be a whole bunch of THEORY. I am giving you how-to’s and examples to model in your own business. This is NOT a hype-y program on making millions on the Internet. There are plenty of seminars already offering you that, so I’ll leave that to them. 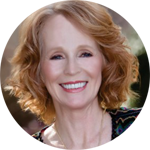 I know you want down-to-earth instruction that offers regular folks – just like you – effective ways to build a solid speaking business and a very good income. It’s all tangible, it’s all feasible and it’s just what’s going to move you forward. This is NOT a pitch fest with a dozen speakers all trying to sell you something. I am the only speaker, and I won’t be selling you a bunch of useless products. This is a very different kind of program than to which you may be accustomed. It’s going to be high-content, focused learning. You will discover everything you need to get more speaking engagements and build a solid speaking business—easily, authentically and consistently. This is a true HANDS-ON PROGRAM. We’ll work together, laugh together, and create your marketing together. During this program, I will teach you how you can attract more speaking gigs, more money, and GIVE YOU EXAMPLES FOR EVERYTHING. 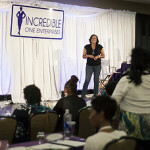 For 50% off the general admission, you'll get to select which amazing live event to join Darnyelle and learn the latest, cutting-edge marketing and branding secrets about attracting clients galore, network with like-minded business leaders, selling confidently and meet Darnyelle face-to-face! There will be lots of learning, lots of fun, and most importantly, lots of chances for you to get answers to your business questions about growing your business. I believe we are all born great, but many of us fail to manifest our greatness because we can't find our PACE, otherwise known as our Plan for Achievement through Creation and Execution. During the "Find Your PACE Blueprint," you'll discover the mindset shifts that are essential to design the life of your dreams and proven strategies to unleash your Incredible Factor on the world. You gain access to this Facebook group where you and your program peers will have the opportunity to share even more resources through feedback, accountability, and brainstorming. This exciting exercise is only available to my clients or students. You can't get access to this anywhere else. Be The Talent will help you once and for all to identify your areas of core brilliance, which will ultimately transfer to the countless topics you will speak about to audiences around the world. But you won’t have to invest $10,000…$5,000…or even $1,000! I’ve priced this live event to be a REAL STEAL, literally. Why? Because I want to help you, and, more importantly, I don’t want there to be any excuse for you to NOT get this information – trust me, it will change your life. Remember: when you are considering an opportunity to choose between where you’re at now (not having much success) and where you want to be (having loads of success), don’t look at what an opportunity costs – look at what that opportunity is WORTH. That’s what I do, and it’s one of the strategies that has brought me to where I am today, so that’s why I recommend it to you. how I decide to invest in my personal and professional development. First, I determine if the teacher is experienced and has already done what I desire to do. Second, I clarify that the teacher is CURRENTLY doing what I desire to do. I don’t want to learn theory or what someone used to do, I want access to their current best demonstrated practices that are working daily in their business. Third, I verify that my values align with the teacher’s. Do I trust his or her character? Do I believe that we believe the same things. Fourth, I assess the teacher’s results. Does this person have experience and quality testimonials to prove it? Fifth, I ask myself what will happen if I don’t take action? Is not acting worth the cost of me either staying where I am or struggling to figure it out? Or, if I take action, will I be able to increase my success and my outcomes by shortening my learning curve, which will also save me time, money, frustration, and confusion? Remember, I’m going to show you the very same strategies that I’ve used to build a solid, thriving speaking business – how I’ve built a thriving speaking business where I get paid on average $5,000 per engagement and how I sell tens of thousands in products in the back of the room, all while building a brand and business that serves me well and allows me to enjoy the life of my dreams….step-by-step. If you’ve heard anything about the way I train – I leave no rock unturned, I give you EVERYTHING that I have to help you go get what has been earmarked and reserved for your success. But more than everything, you are investing in your Incredible Factor, your business, your brand, your dream and Incredible One, YOU ARE WORTH IT. Yes, You are. Period. Point Blank. Now, what is this information worth to you and to your future? You may be wondering… What happens if I don’t like it or it doesn’t work?nnUpon receipt, take 30 days to test drive the Speak the Incredible Coaching Program. If you don’t think that it contains the Incredible content and strategies to help you make more money as a speaker, I’ll give you your money back. Period. So if for some reason the Speak the Incredible Coaching Program doesn’t meet your expectations, just notify me and ask me for a prompt refund up to 30 days from your purchase. No reason needed. (Please note: The product must be in resalable condition to be returned.) That’s my Incredible promise to you! PS. No matter where you are in your speaking business, if you are leaving money on the table – and you most likely are – let me show you how to maximize your income, your message, and your marketing by teaching you the exact speaking and marketing strategies that I consistently use to generate a minimum of $10,000 – $20,000 a month. PPS. I can tell you from coaching hundreds of other experts who were once where you are now, it WILL WORK. The Speak the Incredible Coaching Program is brimming with proven strategies for success! As you implement, they work. And you won’t be able to NOT implement because we’re going to do it all together, step-by-step! PPPS. Also…remember that if you’re investing in this program to further your business, your entire tuition is 100% tax deductible. (Double-check with your accountant, of course.) That makes this an even better deal—you really can’t lose! Legal Disclaimer: Every effort has been made to accurately represent our program and its potential. Any claims made of actual earnings or examples of actual results can be verified upon request. The testimonials and examples used are exceptional results, don’t apply to the average purchaser and are not intended to represent or guarantee that anyone will achieve the same or similar results. Each individual’s success depends on his or her background, dedication, desire to implement and motivation. As with any business endeavor, there is an inherent risk of loss of capital and there is no guarantee that you will earn any money.